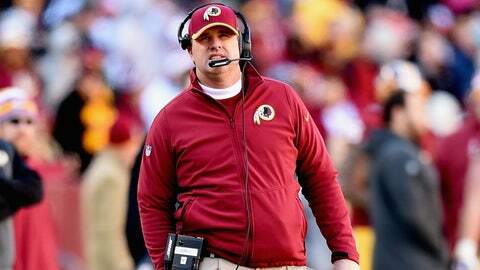 Jay Gruden would like Redskins fans to refrain from mocking his physique. The Redskins are a mess. They’ve been a mess for a long time. When it comes to criticizing the head coach, however, Jay Gruden would appreciate it if you kept your insults strictly about football. At a recent press conference, Washington’s head coach was asked about tuning out the noise from the media, and disgruntled fans upset about things like his relationship with quarterback Robert Griffin III. Gruden went on to explain that taking verbal abuse is a part of the gig for a head coach that he’s accepted: "But the ‘fat’ thing, I don’t have to."